LONDON (Reuters) - U.S. exchange operator CME Group has agreed to buy NEX Group for $5.5 billion to create a cross-border powerhouse for investors trading in the multi-trillion dollar foreign exchange and government debt markets. A union of the two firms would enable investors to access cash and futures trading and over-the-counter services via one provider for the first time, improving access to markets, NEX's founder and Chief Executive Michael Spencer said in a statement. Spencer is a high-profile figure in London's financial industry and previously served as treasurer for Britain's ruling Conservative party. He will join CME's board and become a special adviser to the company after the deal goes ahead, CME said. "CME's decision to choose London as its European headquarters is also a signal of tremendous support for Britain's financial services sector," Spencer said. The combined headquarters will be in Chicago. Spencer, who holds a 17.62 percent stake in NEX according to Thomson Reuters Eikon data, stands to make about 670 million pounds from the deal. 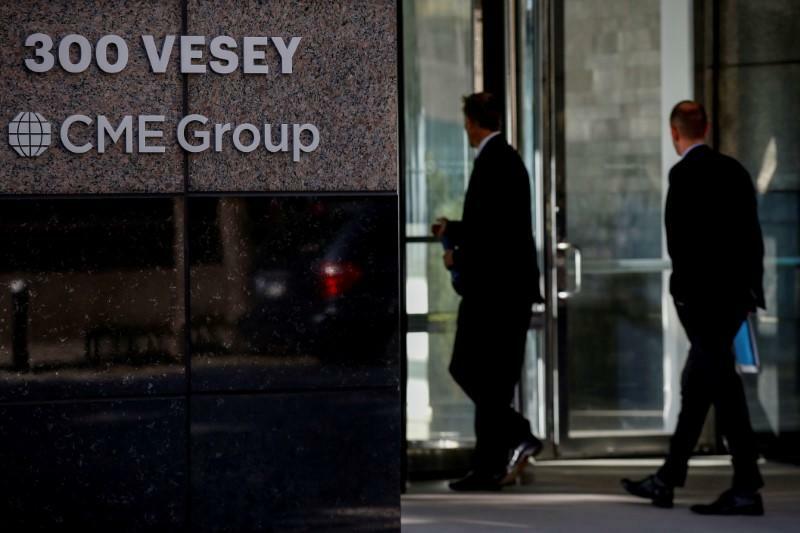 CME Chairman and CEO Terry Duffy said the new entity would help investors lower trading expenses and better manage risk. Shareholders in NEX, which matches buyers and sellers of bonds, swaps and currencies, will receive 500 pence in cash for each NEX share and 0.0444 new CME shares. Each NEX share would be valued at 1,000 pence, CME said. The offer by CME, one of the world's biggest exchange groups and owner of the Chicago Board of Trade (CBOT) and Chicago Mercantile Exchange, represents a 2.9 percent premium to Wednesday's share price close of 972 pence. Analysts said CME may have been prompted to bid now to avoid losing out to a rival, as global exchanges face rising competition for business amid shrinking trade volumes. "This is a good price," Liberum analyst Justin Bates said, but added that the 50 percent cash component might disappoint some investors leaving "the door ajar for a competing offer with a higher cash component." He said potential bidders could include ICE, Deutsche Boerse and London Stock Exchange (LSE) (LSE), with ICE the most likely frontrunner. Nick O'Donnell, M&A partner at law firm Baker McKenzie, said that as the bid had a large paper component, competing offers from rivals using cash, usually preferred by shareholders, could emerge. NEX was trading below the offer price at 972 pence at 1217 GMT on Thursday. It has risen more than 30 percent in 2017. NEX, known as ICAP before the sale of its voice-broking business to TP ICAP in 2016, provides foreign exchange and fixed income trading technology via its EBS and BrokerTec platforms. EBS, a foreign exchange matching platform, allows banks and other major institutions to trade the euro, yen and Swiss franc against the dollar, connecting buyers and sellers of currencies in more than 50 countries. BrokerTec is the market leader for electronic trading in many U.S and European fixed income products, including U.S. Treasuries, European Government Bonds and European Repo. "It's a company that has always been ripe for acquisition," Matthew Page, fund manager at Guinness Asset Management and one of NEX's 25 largest investors, told Reuters, adding CME probably thought "they've got to make a move for it now or it might get snapped up by someone else." CME said the deal would expand its presence in Europe, the Middle East and Africa and Asia Pacific. It expects the acquisition to generate run rate cost savings of $200 million by the end of 2021. The deal will add to its cash adjusted earnings per share from 2019, with a one-time cash cost of $285 million, CME said. The takeover could spook regulators concerned about the potential dominance of a new entity in some markets, especially U.S. government debt, where CME is already in the top position. Previous big exchange mergers, such LSE and Deutsche Boerse, have hit antitrust buffers. But the collapse of the LSE-Deutsche Boerse deal did not stem the appetite for exchange deals. Pan-European exchange Euronext bought the Irish Stock Exchange for 137 million euros ($168.88 million) last year. "CME do not seem to be planning any divestments, which may disappoint the European exchanges," a research note by Exane BNP Paribas said. A marriage of CME's clearing house and NEX's TriOptima compression service will allow CME to compete against the dominance of LCH in the OTC clearing market, the note said. LCH, part of the LSE, dominates clearing in euro-denominated instruments such as debt repurchase agreements and interest rate swaps. "Whatever happens, whether there is a competing bid for (NEX) or not, you will see continued consolidation in the exchange space," Liberum analyst Bates said.